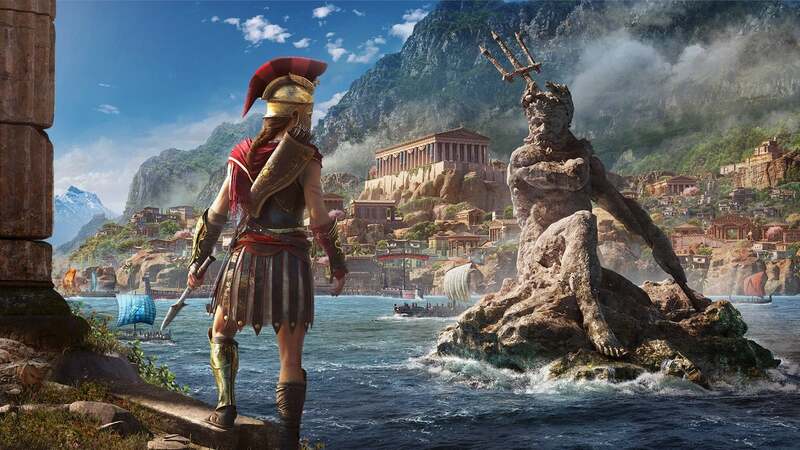 Ubisoft has issued a new patch for Assassin's Creed Odyssey on PlayStation 4 and Xbox One. The 1.0.5 patch weighs in at 0.16 GB on PS4 and 0.1 GB on Xbox One and focuses on squashing bugs--including fixing one issue that only appeared after a previous patch. According to the patch notes, it improves stability and fixes an issue that would make the game crash to the dashboard after the release of update v1.0.3. That update itself was aimed at quality-of-life improvements and fixing game-breaking bugs. The two updates were only days apart, though, so Ubisoft is seeing to these issues quickly. This week Ubisoft cancelled its first planned live event, explaining that a missing mercenary had gone AWOL. The studio still has big plans for live content and expansions, though, promising the "biggest and most ambitious" post-launch support in franchise history. That will include one story, The Lost Tales of Greece, for free to all players, along with paid episodic instalments Legacy of the First Blade and The Fate of Atlantis. The studio has already said it doesn't plan to release another Assassin's Creed next year, instead leaning on its post-launch content plans. If you're just beginning your journey into Ancient Greece, check out some tips for beginners to get started on the right foot. If you've reached far enough in Odyssey, on the other hand, you can start taking on mythological beasts. Of course, to do that, you might want to get your hands on some Legendary armour sets.